Home » BC News » Moose Hide Campaign focuses on education to end violence..
Moose Hide Campaign focuses on education to end violence.. 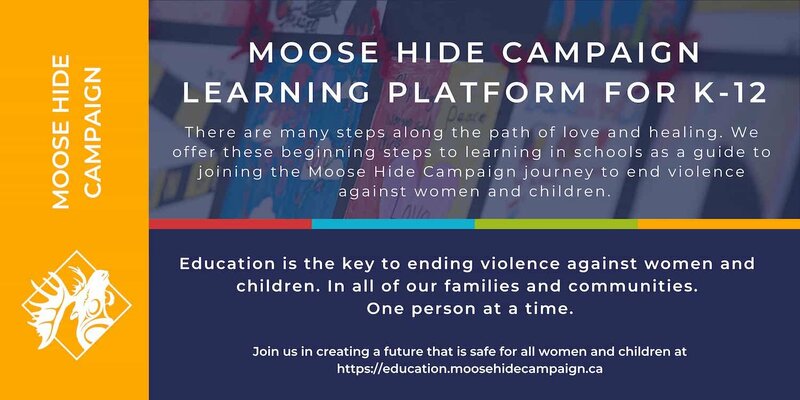 PRINCE GEORGE, BC: The Moose Hide Campaign has launched a new education initiative aimed at K-12 students as part of its drive to end violence against women and children. The Moose Hide Learning Journey encourages students to explore values and perspectives that honour and respect women and children. The online platform, which has been piloted in a number of schools throughout the province, provides lesson plans, videos and other resources. The campaign’s youth focus is highlighted this year through a youth plenary session attended by high school students and their teachers. The new initiative is supported by a portion of the $2 million provided by the provincial government in 2018 to support the campaign’s work, and B.C.’s ongoing commitment to end violence against women and children. In addition to the launch of the new education initiative, participants at the gathering, including many members of the legislative assembly and the BC Public Service, participated in the annual one-day fast. The fast represents a personal commitment to make change at an individual and a collective level. In 2018, the campaign reached its milestone one millionth pin and has now distributed more than 1.5 million pins across Canada, including over 200,000 in B.C. in the last year. To recognize the importance of the campaign, the provincial government has proclaimed Feb. 13, 2019, as Moose Hide Campaign Day in British Columbia. In addition to the Victoria event, the campaign is holding a full-day event in Prince George. The Quesnel RCMP will also be in Prince George to attend this very important campaign. RCMP from Quesnel will be attending the events held in Prince George today. RCMP PHOTO.